While promoting Ran, Kurosawa had often indicated that he had poured all of his remaining creative energy into the film, yet once the dust settled, the director was far from ready to retire. With two commercial and critical successes behind him, for his next film the director chose a project very different from almost anything that he had attempted before. Although some of his earlier works like Kagemusha and Drunken Angel had included dream sequences, the next film Dreams (Yume) was to be entirely based on the director’s own dreams. For the first time in over forty years, Kurosawa wrote the screenplay alone, a process which took him around two months. The project was very personal, not only because of its subject matter but also due to those now working with him. While his son Hisao had already helped him during the production of Kagemusha and Ran, earning an associate producer’s credit for the latter, Hisao now took over the role of a principal producer together with Mike Inoue, Kurosawa’s nephew whose script had thirty years earlier worked as the basis for The Bad Sleep Well. Kurosawa’s daughter Kazuko was also involved, working at the wardrobe department under Emi Wada, who had won an Academy Award for her work on Ran. By his side were also many long-time friends and associates, including Ishirō Honda and Teruyo Nogami. Although the estimated budget of Dreams was lower than those of Kagemusha and Ran, Japanese studios continued to be unwilling to back a Kurosawa production, and so Kurosawa turned again to foreign investors. This time he found a supporter in American filmmaker Steven Spielberg who convinced the entertainment corporation Warner Bros to buy the international rights to the completed film. This made it easier for Hisao, who was by now also about to take over as the head of Kurosawa Production, to negotiate a loan that would cover the film’s production costs. With financing thus secured, shooting began on January 10, 1989, and took more than eight months to complete. 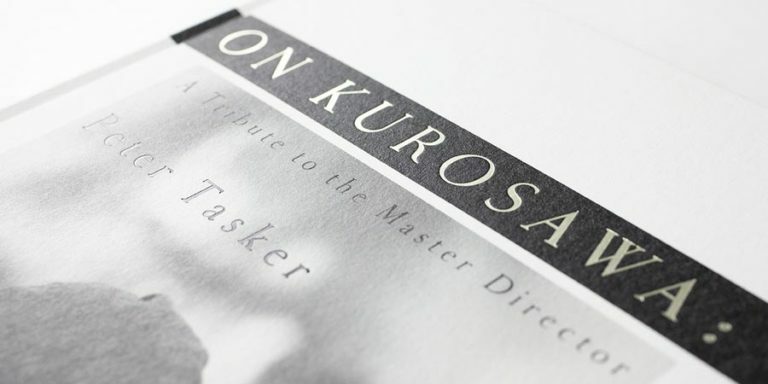 Dreams indeed turned out to be different from anything that Kurosawa had done before. The colourful and at times surrealistic film, which among other things featured the American filmmaker Martin Scorsese as Vincent van Gogh, premiered at Cannes on May 11, 1990 to a polite but muted reception, which was repeated when the film was released around the world. Since its release and especially throughout the 1990s and early 2000s, Dreams has been one of Kurosawa’s most often watched works, largely thanks to its availability on home video at a time when Kurosawa’s other films were not similarly easily found. For his next film, Kurosawa turned to a more conventional story. Rhapsody in August, the director’s first film entirely produced in Japan for over twenty years, explored the scars of the nuclear bombing that destroyed Nagasaki at the end of the Second World War. Adapted from a Kiyoko Murata novel, the film’s cast included the American actor Richard Gere as well as a number of child actors. 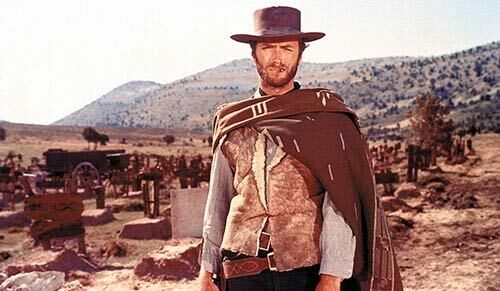 Shooting took place in 1990, with the film opening on May 25, 1991 to a mixed critical reaction, especially in the United States where the director was groundlessly accused of naive anti-American sentiments. In Japan the film was nevertheless nominated for altogether ten Japanese Academy Awards, winning four of them. 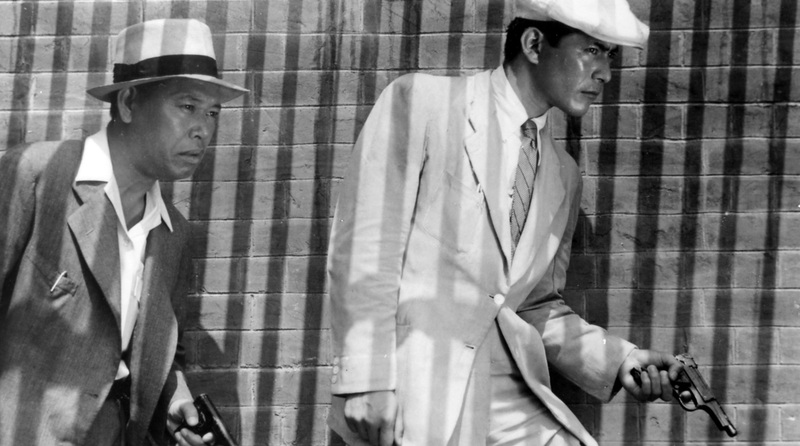 Although it remains one of Kurosawa’s lesser works, Rhapsody in August has since gained more critical currency and is often discussed in connection with artistic approaches to nuclear threats. Despite his last two films having not garnered the kind of international critical and commercial success that Kagemusha and Ran had enjoyed, Kurosawa wasted no time moving onto his next project, to be called Madadayo, or Not Yet. Based on autobiographical essays by Hyakken Uchida (1889-1971), the film follows the life of a Japanese professor of German through the Second World War and beyond, centring on yearly birthday celebrations that he has with his former students. 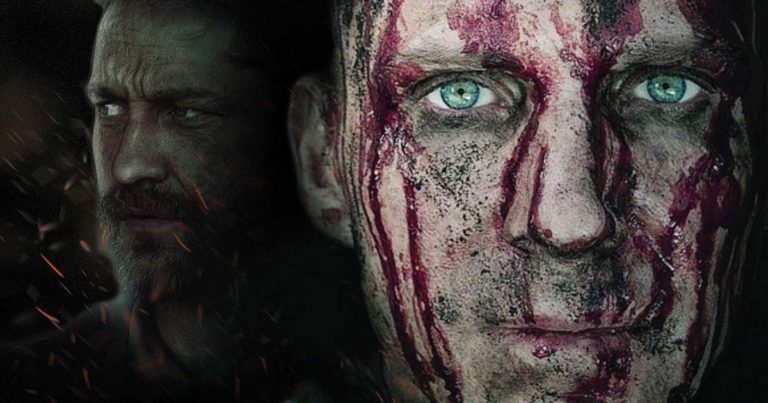 These celebrations give the film its name, as the protagonist each time declares his lack of intention to die yet, a topic that was becoming increasingly familiar also for the film’s 83-year-old director. The production was announced in early 1992 and filming began in February that year, progressing ahead of schedule and wrapping by the end of September. Madadayo‘s release on April 17, 1993, was greeted by a somewhat disappointed reaction similar to what had been given to his two previous works, and it received delayed and largely low key releases abroad. 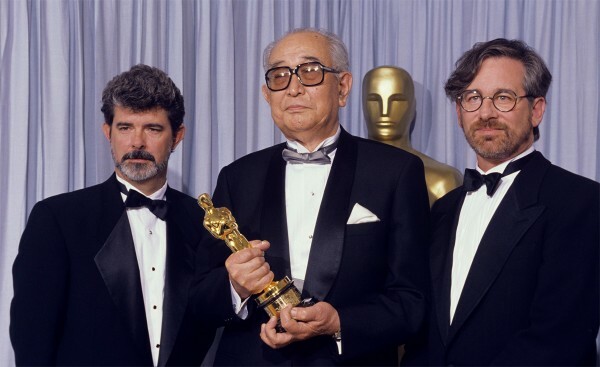 In Japan, the film nevertheless received seven Japanese Academy Award nominations, winning four of them, as well as taking home two acting awards at the Blue Ribbon Awards. Just like with the other films of Kurosawa’s late era, Madadayo has since garnered an increasingly more understanding reception and today it is often celebrated for its quietly contemplative statement on ageing, wisdom and tolerance. Although Madadayo was ultimately the last film that Kurosawa ever directed, he continued to work after its release. 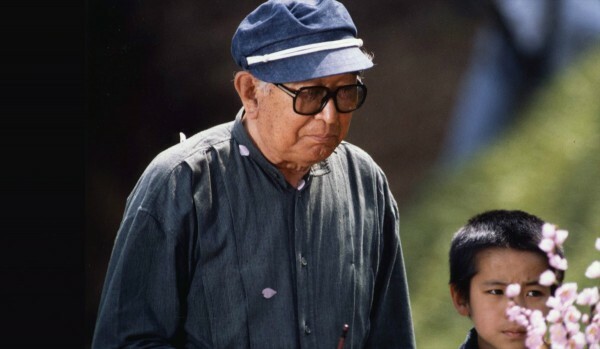 In 1993, Kurosawa wrote a screenplay titled The Sea is Watching (Umi wa miteita), and in 1995 completed the writing of After the Rain (Ame agaru), neither of which he would be able to film. His skills as a painter were also in demand. The Japanese airline Japan Air System commissioned livery designs for seven of their airplanes, while the watchmaker Swatch released a Kurosawa designed watch in 1995. Meanwhile in Hollywood, the Walter Hill directed Yojimbo adaptation Last Man Standing, with Bruce Willis in the leading role, premiered in 1996 to a fairly lukewarm response. Unfortunately, while Kurosawa was putting in the finishing touches on The Sea is Watching at home in 1995, the now 85-year-old director one day slipped and ended up breaking the base of his spine. Following the accident, he would be confined to a wheelchair for the rest of his life, thus putting an end to any hopes of him directing another film again. This Akira Kurosawa info page was last updated on May 2nd, 2015.